In an enterprise, a number of systems of different types exist. Some of these may be legacy systems while some may be new. These systems often interact with each other,and need to be integrated. This interaction or integration is not easy as the implementations of the systems, their message formats may differ. One way to achieve this is to implement code which bridges these differences. However this will be point to point integration. If tomorrow again if there is change in a system the other might also have to be changed which is not good. Instead of this point to point integration which causes tight coupling we can implement an additional layer to mediate the differences between the systems. This results in loose coupling and not affect much our existing systems. Apache Camel is a rule-based routing and mediation engine that provides a Java object-based implementation of the Enterprise Integration Patterns using an API (or declarative Java Domain Specific Language) to configure routing and mediation rules. Apache camel is a light weight framework. It can be deployed on a variety of containers like Tomcat, esbs etc. Apache camel provides us with a number of components. These components make interacting create endpoints with which a system can interact with other external systems. For example using an ActiveMQ component we expose an ActiveMQ endpoint for interaction with external system. There are more than 100 components provided by Apache Camel. Some of them are FTP,JMX, Webservices, HTTP. Apache camel also allows users to create custom components. 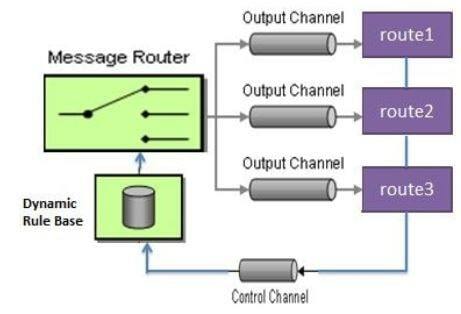 Apache camel uses Message Exchange Patterns(MEP). Apache camel exchange can hold any kind of message. It supports a variety of formats like xml, JSON etc. 1. Java DSL - A Java based DSL using the fluent builder style. features like Transaction Management, JPA etc. In this tutorial we implement Apache camel examples. Some are standalone and some require deployment on JBOSS Fuse ESB. In this post we will look at Enterprise Service Bus questions. Examples are provided with explanation. In this post we will look at Apache Camel Interview questions. Examples are provided with explanation. In this post we will look at JBoss Fuse Interview questions. Examples are provided with explanation.